Britain has granted refugee status to Mohamed Nasheed, the former president of the Maldives who was jailed in 2015 after a trial that drew international criticism. Nasheed, the Maldives' first democratically elected president, was allowed to go to Britain in January for medical treatment after President Abdulla Yameen came under international pressure to let him leave, reports The Independent. 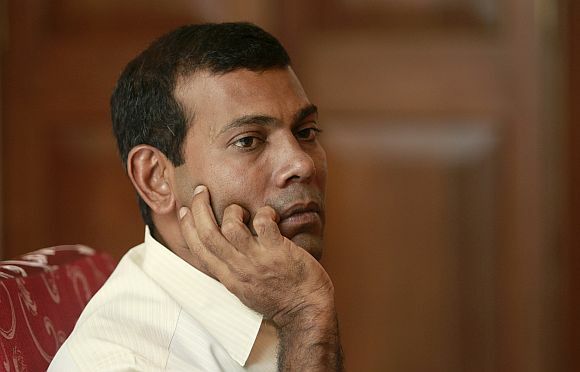 Nasheed was jailed for 13 years on terrorism charges in after illegally ordering the arrest of a judge in a trial that put a spotlight on instability in the Indian Ocean archipelago known as a paradise for wealthy tourists. Nasheed has been granted political refugee status in the United Kingdom, Hasan Latheef, Nasheed's lawyer,reports Independent. Nasheed was ousted in disputed circumstances in 2012 after ordering the arrest of the judge.